If you want to buy your child a sumptuous book this autumn, which will inspire a love for storytelling, adventure and imagination, and one which has a wintery flavour, this is it. Podkin One-Ear is a legend, a fearsome warrior rabbit with a reputation for fighting and winning against the Gorm (a dangerous and evil iron-flesh-clad rabbit breed that invades warrens and kills or captures those within). When a traveling bard arrives at Thornwood Warren on Bramblemas Eve, the bard is welcomed into the hall with its warming fireside glow and given food and drink in return for a tale of Podkin One-Ear. He tells the story of how the young Podkin fled his warren with his baby brother and older sister, how he lost his ear, and how he grows and learns until he is ready to fight back against the evil greedy Gorm. The bard’s version is not only enthralling, but far more realistic than his little rabbit listeners have heard before. This is the classic story within a story – telling a fantasy tale of a family of rabbits turfed out from their home, seeking not only to escape the Gorm but to protect a sacred sword that bears good magic, and eventually to overcome the evil Gorm. With influences of Watership Down (inevitable – there are rabbits on a quest against evil), and even Station Eleven (this is a dystopian future in which humans have clearly gone and all that is left is a landscape of scattered rabbit warrens, and travelling storytellers), this is a sumptuous tale that manages to pull on the emotions and remind readers of classic tales and classic tropes. As well as the old traditions of storytelling (and Larwood intersperses the tale of Podkin with interlude chapters in which the Bard and his audience interact and discuss the role and purpose of storytelling), Larwood also introduces familiar traditional tropes from the human storytelling mould, such as there being 12 ancient tribes of rabbits with 12 handed down symbols (the magic sword being one of these), allusions to religion or a higher being (in this case a goddess), a warring balance of good vs evil magic, and the traditional make-up of families and the patriarchal royal lineage. All this adds to the feeling that the reader is digesting a classic tome. If all this feels heavy, it isn’t at all. The bulk of the story follows three sibling rabbits, Podkin and his older sister and younger brother, as they escape from and finally fight the Gorm. The narration delves inside their heads so that the personification of the rabbits is complete, exploring their worries, fears, comforts and hopes. There are familiarities for children too, as well as the old storytelling tropes, such as the hunt for painted carrots at Lupen’s Day at the start of spring, which of course parallels Easter egg hunts. Larwood is particularly good on his observational details of his fantasy landscape. He insinuates that social skills are important for warren life – all those rabbits in such close proximity. He also, through various characters, makes poignant matter-of-fact philosophies on the painfulness of loss and death, and memories living on, as well as on bravery: “You don’t have to be brave or strong or powerful to do incredible things.” Larwood describes well the loss of Podkin’s ear and the aftermath of this loss, and Podkin’s observation about how quickly life can turn upside down. Podkin is reflective without ever being insular, and is fully rounded – he bemoans the loss of his ear, and is bad-tempered, but shows depth of character in his recovery. His sister, Paz, is sensitive and empathetic. She makes astute observations about everyone they meet, most tellingly, with the ‘witch’ rabbit, Brigid, a grandmotherly figure who facilitates good magic restoring the balance with bad. Her relationship with the young rabbits portrays what the elderly traditional can teach the new upstarts, as well as pulling into the equation the benefits of folklore and understanding nature. There’s some lovely language in the book, introducing vocabulary such as ‘scrying’ at the same time as playing with words to describe iron – a dangerous and evil substance in this fantasy landscape. The storytelling is fluid, and feels like a cosy Christmas telling with interludes breaking tension, and the analysis of storytelling itself, which gives the book both a sense of history and depth. Faber publishers have given this story the love it demands, pairing the tale with Wyatt’s beautiful black and white illustrations, so that every so often the reader is thrown into a whole page picture, showing depth and detail and throwing an added warmth and tenderness to some scenes, as well as displaying the Gorm’s menace in others. There are further nice illustrative touches – the constellations in the sky in rabbit shapes, the map of the landscape at the beginning. 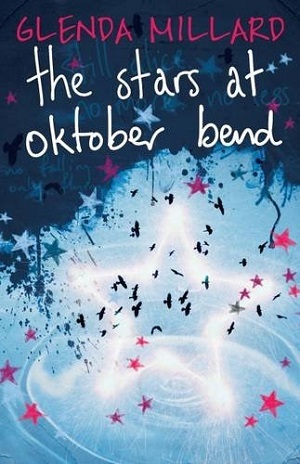 But most of all, it feels as if there is a sprinkling of magic across this book. A modern, yet old-fashioned story that is captivating and comforting. Like a warm hug, this is a fantastic children’s book, with a cute little surprise at the end. For readers 9+ independently, earlier for sharing. Do buy it here. So many children’s books, especially for this age group, talk about a love for reading. They might feature a character whose nose is permanently in a book, a library that bestows secrets, a saviour from bullying whose emotional empathy has been garnered from reading. Preaching to the converted perhaps – a bullet-proof way to draw in the reader, a person who, by the very fact that they are reading the book, will immediately feel resonance with the mention of bookishness within the story. This book is different though. This is clever. Michelle Harrison doesn’t just weave a love for reading into her book. This novel is very much all about the writing. In fact, I’d go so far as to say that if you read the book carefully, embedded within it is a story-writing manual. Midge has an older sister Alice. One who writes stories. But one day Alice goes missing, and when Midge runs into a lookalike who is adamant she isn’t Alice, and then he runs into a talking cat, Midge realises that the characters in Alice’s most recent story have come to life. Midge needs to figure out why Alice is missing, why the characters are alive, and how to end the story Alice has left unfinished, without them all succumbing to the wickedness of the intensely dark and disturbed villain of the piece. In essence this is a good old-fashioned classic adventure story. Midge must find his missing sister, and together with his new accomplices Gypsy and Piper, must solve riddles to find Alice, as well as avoiding the villain who wishes to get to Alice first. The reader can also have a stab at solving the riddles, which are italicised in the text. Like Dorothy in Oz, who navigates through a landscape where ‘characters’ such as the Tin Man come to life, or Pinocchio, the toy who comes to life, this is a familiar landscape. And yet Harrison lifts it to greater heights – this is a story for older readers with darkness and depth. There are numerous extra storytelling tropes thrown into the mix – from an old lady sorcerer who captures a voice (The Little Mermaid) to a fire, mistaken identities, an errant father, a mother who conveniently takes herself away for the duration, and of course, as I mentioned, loving placements of libraries and bookshops. 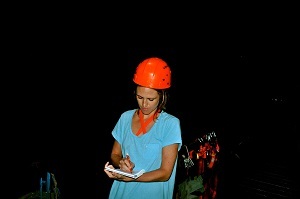 However, this being Michelle Harrison, there is also a spooky, shivery feel to the book. From the opening scene at the start, Alice’s book within a book, to the name of the town in which Midge lives, Fiddler’s Hollow, to curses, as well as the annual ritual of the Summoning at Fiddler’s Hollow (with its tradition of making a doll likeness of someone and then burning them in a huge pyre), which sounds like something out of Salem. 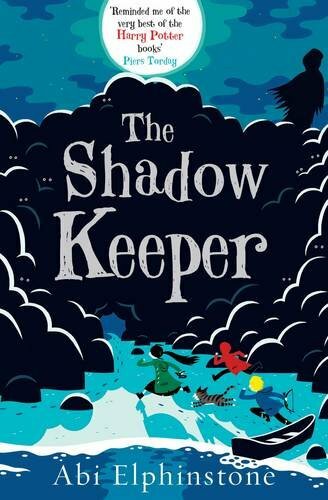 Watchers from shadows, and the creepiest villain with charred hands, gave this reader a haunting feeling, and will certainly do so for youngsters too. Midge also thinks he knows more about the characters because he can read their history in Alice’s notes, but in actuality, characters only come alive in any book when they are realistic. Characters have to have aims, goals, wants because that’s what real people have. We are all protagonists of our own stories, weaving our own webs of lies and fabrications, being true only to ourselves, and sometimes not even that. Sometimes our stories run away from us, in the same way that authors report their characters can run away from their control. 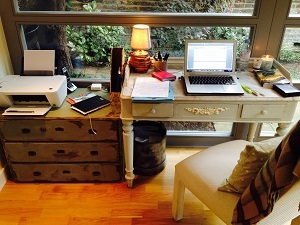 “Alice often says her characters take over when she’s writing. Doing their own thing. 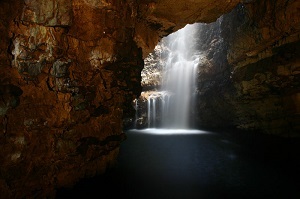 Like the story is writing itself and the characters take control.” Midge explains. This points to the crux of the story within the story here – how much influence is Alice going to have over her characters, or whether the characters are going to steer the story forwards without her. It’s clever and complex, and pushes the reader to think. What’s real in our own lives, which stories have we fabricated? We’re all characters of our own imagining. 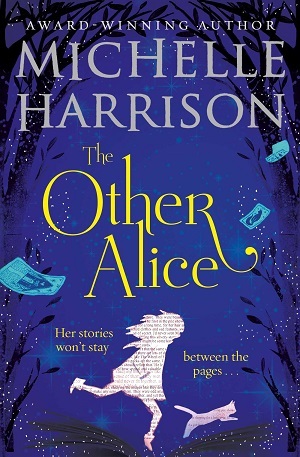 Alice projects herself onto her main character Gypsy – the best parts of herself, a braver self with the ability to wear the clothes she wants to wear, to befriend a boy with striking similarity to a boy Alice fancies in real life (well, within Michelle Harrison’s story!). In the epilogue, Harrison explains how everything is a story – just told from a different point of view. She calls the epilogue ‘Ever After’. Stepping back from the complexity of the story, there are messages about loyalty – about being true to yourself, and searching for a cohesion in life – be it your family network, or just the end of a story. This is a masterful telling, which twists and turns and is beautiful in its scope. There’s also a talking cat who likes tea. 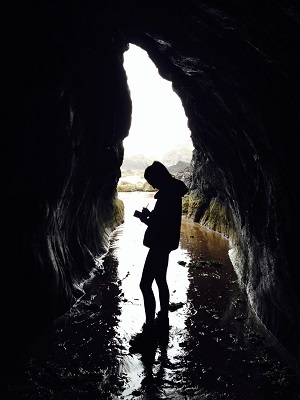 The only caveat is the shapelessness of the young protagonist – our narrator Midge. He felt ill-defined to me, vague almost, and at times I forgot his gender (it’s told in the first person) – but maybe that too was a masterful stroke. 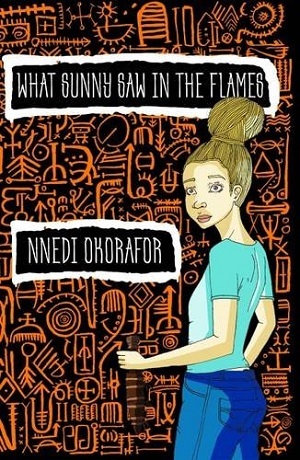 Perhaps our own young selves are shaped by events that are happening to us, perhaps he’s not meant to be fully formed, but a vessel through which the story is told. Either way, I felt that Michelle Harrison wrote a book in which “there was no option to stop reading, or to put the story down.” A cracking adventure story with added depth. Please note that this review was written after reading a proof copy of the book. The publisher recommends this as a 9+ years read. Personally I would raise that to 11+. You can buy it here. 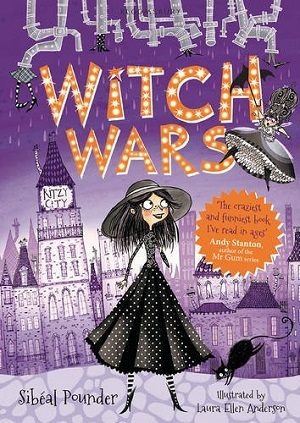 What is the appeal of witches for young readers? 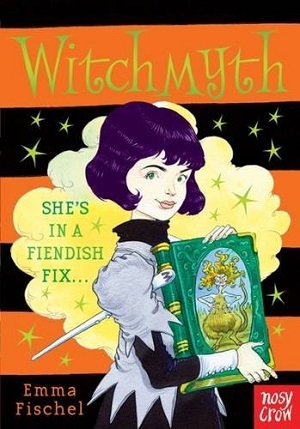 When I started the idea for this particular blogpost, the titles of ‘witchy’ series of books for little ones kept spilling off my tongue – there are so many. And more are being produced. 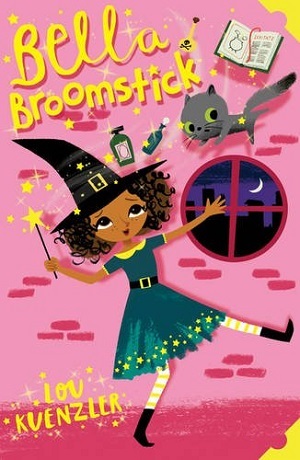 The main hook of featuring witches in children’s literature is of course magic – witches can wave a wand and solve a dilemma – or in a well-used twist – use their wand badly and create a bigger problem. Unlike fairies, witches appeal because they are human. They don’t have wings – they don’t have to occupy a different world (although some do). They are also edgier than most fairies – witches can have a mean streak whereas most fairies tend to be good (other than Tinkerbell from Peter Pan). Witches are also usually accompanied by an animal – in fact looking at my list below, they are all in a close relationship with a ‘pet’, or animal friend, and this feature is a well-used device in children’s literature. So, where to start….. 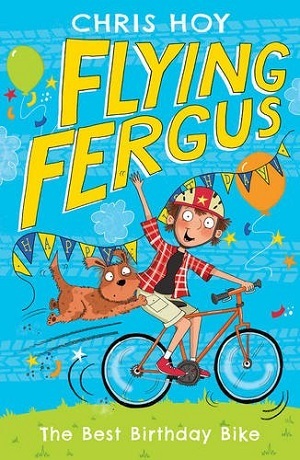 This series was first published in 2011 as picture books, but then quickly morphed into a series of young fiction titles for newly independent readers. There are three picture books for aged 3+ years with rhyming text, and then a series for 6+ years, each containing three stories. 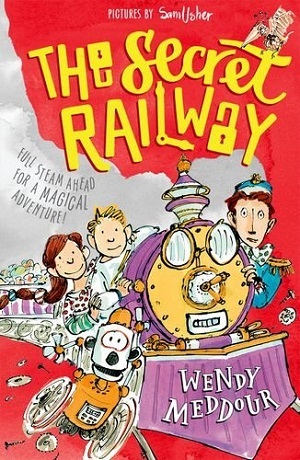 New titles published last year were The Wacky Winter Wonderland and The Messy Monkey Business. Delightfully enticing covers draw the reader into the story, with two-tone illustrations inside. 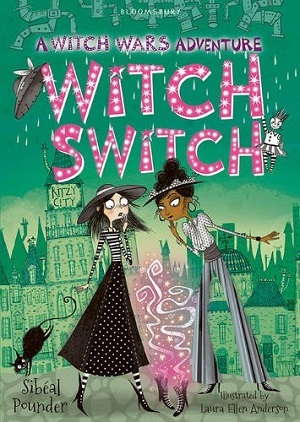 The stories are about Pandora, an ordinary girl, whose grandmother happens to be a witch – she’s not alone in this, in Messy Monkey Business the third story reveals that many of the children also have grandmothers with witchy powers. The zoo adventure contains all the necessary elements – smells, mess, escaping creatures and a sea lion show – but all with a touch of magic in both text and illustration. In all the Hubble Bubble books the short stories bounce along, there’s an element of ‘fairy godmother’ about Granny – she tries to be helpful by using her magic, but her results often lead Pandora and her friends astray. With wonderful names, such as Mr Bibble the schoolteacher, and Cobweb the cat, there’s plenty for a young reader to discover. The stand-out factor about the Hubble Bubble books though is the warmth that exudes from them. 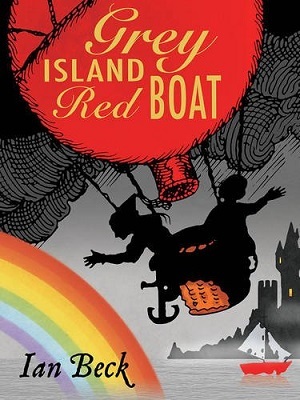 Despite mishaps and mayhem, the characters are loveable – the relationship between grandmother and granddaughter delightful, the humour spritely and the text pitched perfectly – some lovely expressions and adjectives, but all easy enough for first readers. 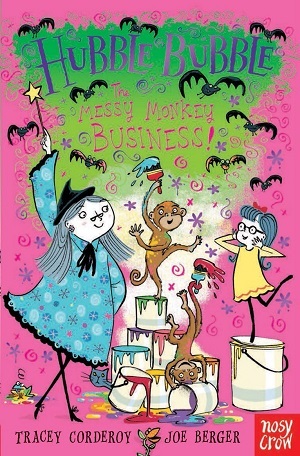 You can purchase Hubble Bubble The Messy Monkey Business here. This series is still an absolute favourite with all – from old to young. The books remain fresh and lively. They tell the adventures of Mildred Hubble and her best friend Maud at Miss Cackle’s Academy for Witches. 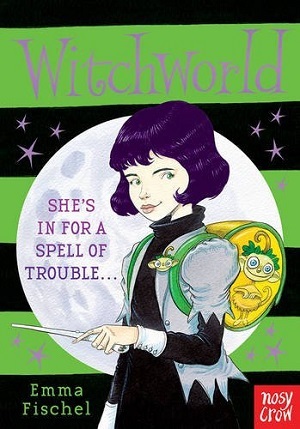 It’s hard to believe that the series is over 40 years old…but when re-reading you can see Jill Murphy’s original witty inventions – lessons on flying a broomstick, potions classes, creepy corridors and invisibility spells. Jill Murphy originally pitched Mildred as a fairy, unfortunately attending the wrong school – but then changed her to a witch who’s just not very capable. From her tabby cat instead of a black one, to her long enmity with Ethel Hallow, and her even stronger friendship with Maud, this is a school story to treasure. Names are used cunningly here too – who can forget Miss Hardbroom – a precursor to Minerva McGonagall I should think. The black and white illustrations depict the greyness of the school as well as the hilarious friendship between short round Maud and long tall Mildred. Jill Murphy is both author and illustrator. Meet Mildred Hubble here. 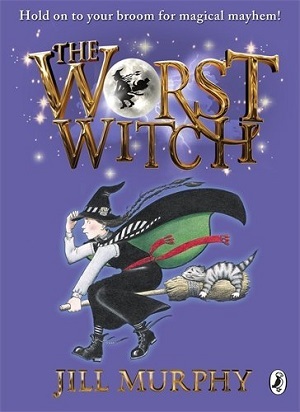 Perhaps our least famous witch here, Titchy Witch inhabits a world in which only her family are witches – her classmates at school vary from goblins to princesses, and her teacher is an ogre. She is also looked after by a particularly grumpy Cat-a-Bogus, a sort of au-pair/nanny. Full colour illustrations throughout add to the charm of this compelling world. Titchy Witch is different from the other witches, in that she is only seven, and acts as such. She finds some witchy things hard, has difficulty keeping her temper, and is very mischevious. 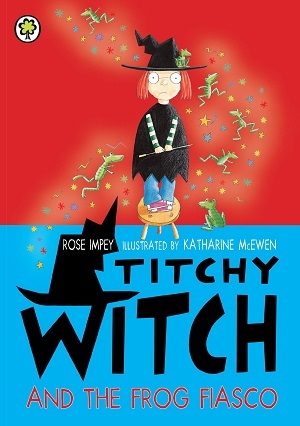 The text is suitable for first independent readers and these children will recognise themselves in Titchy Witch. Titchy Witch and the Frog Fiasco is typical of the stories. When Gobby-goblin at school pokes Titchy one too many times, she has her revenge by putting a spell on him. The teacher catches her and Titchy is blamed, and decides she no longer wants to go to school. Cat-a-Bogus shows her why she should attend when it turns out she cannot read or practise magic perfectly just yet. There is an adorable twist at the end, only understood by studying the illustration. You can conjure Titchy by purchasing here. Another aging witch, Winnie is more than 25 years old. She has a beloved black cat, the prickly Wilbur. The wonderfulness of Winnie is the amount of colour Korky Paul throws at the books, in fact our standout title is the original story in which Winnie colours her world. 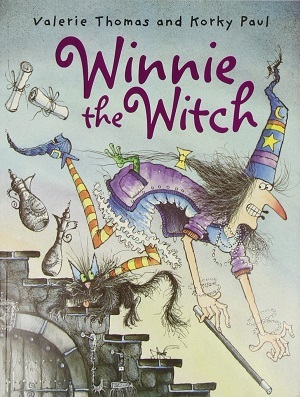 There are some beautifully unique traits to Winnie – she has a crooked hat because Paul found that drawing it straight didn’t always fit on the page, she is not the most attractive witch to look at, and yet her personality is adorable. Wilbur’s personality is as acutely drawn as any human’s – his laziness, his addiction to a certain level of comfort, his weariness with Winnie’s adventures. The attention to detail is present in both the meticulously drawn illustrations, as well as the scope of the adventures. Each book is very different – from Winnie’s trip to the seaside, to her birthday celebrations. There is much to admire in each, and much to look at. Winnie also seamlessly moves with the times – see for example Winnie’s New Computer. Like Hubble Bubble, there are both picture books and young readers, so that the books grow with the child. No library is complete without Winnie on a shelf somewhere. Wave your wand here. as each word of text is positioned underneath each stair, enticing the reader to pronounce the sentence in a particular way. The drawings are iconic – each of the five witches portrayed almost as stick figurines, and yet all distinguishable by their different hair squiggles and noses. The colours are bright and bold, no white spaces in this preschool colour block delight. But the best thing about the original book is that it doesn’t conclude neatly. When Meg changes the witches into mice, she leaves them like that until the following Halloween – there is no happy ending. Edgy and mischievous. Just how witches should be. 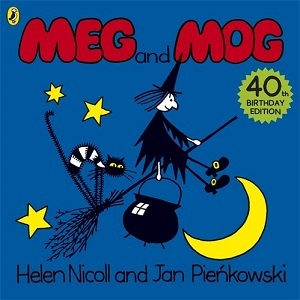 You can purchase Meg and Mog here. Burglars, kidnapping, escaped wild animals – the content in this book could easily leave one to believe that this is not a children’s book. However, sometimes the most unpredictable content makes for the best read. 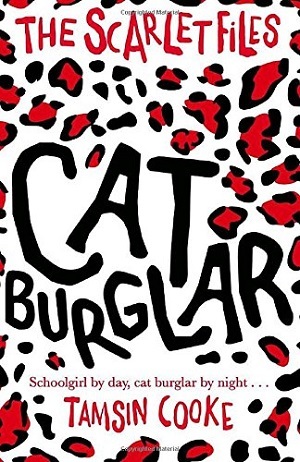 Thirteen year old Scarlet is a cat burglar – along with her father they break into properties restoring stolen antiquities and treasures to the rightful owners. And they’re rather good at it. But then one day they steal an ancient Aztec bracelet with strange and magical powers, and Scarlet’s world begins to change – not least herself and her physical being. With elements of fantasy mixed with real world life and death decisions, this is a gripping tale, far from anything else aimed at this readership. It’s a page-turning action adventure. The language is simple, keeping up with the pace of the plot with little time for lengthy description or in-depth exposition, or indeed too much character development. Scarlet is brave, plucky, canny and worldly – although her lack of expertise in modern technology is rather surprising. To fill the gap, Tamsin Cooke introduces the boy next door – not just a heartthrob, but a savvy geek who is able to hack computers and provide backup techy assistance. However, there’s no time for romance because of the pacey action unfolding page by page – which means that the book is perfectly poised to attract all readers, even as young as 9+ years, because although there are some illegal goings-on, such as driving a car underage (not to mention the breaking and entering), there is always someone on hand to point out the moral ambiguities and illegalities of the situations. It’s also guaranteed to attract those who otherwise might struggle to make it through a 200 page book, because of the speed of the drama – paced like an adult thriller book. The book is gripping, a race-against-the-clock action packed thriller. Genre writing for kids, and that is truly exciting. You can buy it here.